Great advise with realistic goals. I'm always looking for podcasts that helps me stay focus on a healthy lifestyle that is realistically achievable and this is the perfect podcast. Hope the episodes keep coming and I'm already sharing with all my health conscientious friends and family to keep this podcast broadcasting. In this episode Blythe and Ray break down the 5 female fat loss workout plan upgrades you can make to your fat loss program! It’s an eye opener if you’ve been struggling to lose weight despite doing a lot of cardio! Blythe and Ray NERD OUT in this episode where we cover the science behind burning fat in women versus men. During this episode they also cover the difference between the metabolism of women before menopause versus after menopause. In this episode we answer questions sent to us from listeners about how to get through obstacles, how to work out for fat loss, and we spend time covering how to get in alignment with our desire to lose weight by assuring our integrity is lined up with our intention! Episode 108: How Change Works - The 6 Stages Of Making Weight Loss Work! Losing weight and getting fit follows a natural process of change. In this episode, we will discuss the 6 stages of change for weight loss or anything else in life. In order to make change permanent, it’s important that we fully experience all 6 stages without trying to shortcut the process! In this episode we’ll cover 9 things that you may not know about losing weight. In our weight loss podcast, we like to focus on the brain and the body because many times the issue is with mindset and thinking, so in today’s episode we cover both. In this episode we discuss tips and strategies for fighting the environment that seems focused on keeping us fat. We go through 10 golden-nuggets of weight loss wisdom for battling the bulge! We believe that you should choose your diet as carefully as you choose your spouse. In today’s podcast, we explore the similarities between choosing a mate and choosing your lifestyle/diet. You've heard about the Mediterranean diet to stay healthy and fit, but did you know that Japan also has a lower rate of obesity? In this episode we talk about what about these two cultures makes for healthy bodies! Episode 103: Should I Start Over Or Tweak My Program? What should you do when you fail to stick to your weight loss program? Should you start all over with a clean slate or simply tweak the program and try again. That's the topic of today's show. Get some mindset hacks for improving weight loss success and consistency! During this episode we'll go through some of the questions that we received on Facebook and then get into some simple ways to sneak more water into your life! Find out how many of us are tricked into eating things that make us fat. If you're over 40 and wondering what the heck happened to your metabolism. This episode will help you take the reins and get your metabolism kicking again! Today's episode is dedicated to answering weight loss questions from listeners and Facebook friends! During this episode we’ll cover the 10 commandments of losing weight permanently. This episode will provide additional advice for those with resistant metabolisms. Are you looking for the latest diet or exercise equipment to shift your lifestyle and lose the weight? What if I told you that without some major shifts in mindset, the best diet or exercise program can't help you. That is the truth! In today's podcast we'll talk about eight essential mindset shifts to improve followthrough and success with whatever diet you choose or whatever exercise program you follow! Setting goals with weight loss can be tricky, get it right and you increase your chances of success. Today we teach you how to set goals that work for health and fitness! You may have heard of SMART goals, but did you know that this model doesn't work for weight loss! We teach you how to set goals that will become your asset in the battle of the bulge! It's a little known fact that certain weight loss strategies can age the body by interfering with the production of certain hormones. In today's show we'll discuss stragegies that promote hormone secretion and rejuvenate the body while supercharging your weight loss program! Perhaps you eat dessert after dinner every night. Perhaps you feel cravings the moment you arrive to work...Perhaps you pull into the local fast food restaurant every day on your way home from work...Triggers for habits are everywhere and although most people focus on the behavior, such as eating the cake, eating fast food, etc., perhaps we should focus on the trigger instead. If you learn to change the triggers in your life, there is no need for the behvior...That's the topic of this episode. A very common question we get is should I lose weight fast or should I slow it down for better long-term results? During this episode, we'll discuss the research behind fast and slow weight loss and our personal experience with client as to which is best for long-term f.at loss success. Finally we'll discuss some actionable advice for utilizing this new knowledge. There's a lot of weight loss advice out there and a lot of it is irritatingly difficult to implement, some is just straight up impossible to do consistently. In today's episode, you'll learn 10 super easy things to do to improve your weight loss results. Today's episode is about simple tactics for enhancing your weight loss program, things you can add to your program with little effort. Episode 86: Is Your Social Circle Keeping You Fat? Do you feel like your family and friends are working against your weight loss efforts? Are you constantly swiping through images and posts about tasty treats and food? Today we'll discuss what to do about your spouse or friend who seems to be sabotaging your efforts to lose weight. Episode 85 - Should You Weigh Yourself Daily? Answering the question, "Should you weigh yourself daily?" is a difficult one because we are all very different in how we view the scale. Today we cover the research to find out if there's a benefit to weighing ourselves daily and when a daily weigh in may be beneficial. Carb-Cycling is a strategy of dieting where you alternate between high-carb, low-carb and no-carb days. In this episode we'll cover this topic in detail. We'll cover what carbohydrate cycling is and how we recommend implementing it in your diet and lifestyle. During this episode we'll cover what separates the ultra fit from the average folk! Use these 15 things to discover your gap! During this episode Dr. Ray and Blythe discuss the Biggest Loser Paradox and some recent research that will help you attain and maintain your weight loss! One of the biggest weight loss and diet challenges people run into is temporary lapses in their diet and exercise program. Sadly, for most people a lapse leads to relapse. This research discussion will help you see just how insignificant a lapse can be to your weight loss results. In this episode, we cover the 10 ways/buzzwords that food marketers use to trick you into believing that a food is safe to eat or good for weight loss. Rule #1 when choosing food to eat is assume that the manufacturer is only interested in selling food not helping you be healthy and/or fit. In this podcast you'll learn ten ways that food manufacturers use words like "Reduced", "Low", "natural", organic, and more to get you to buy their fattening food. In today's podcast episode we're going to go back to the basics with our revised and updated quick start guide... Our very first episode was our quick start guide back in 2009! Not, we're simplifying the weight loss fast start episode for 2015 and beyond! In this episode we discuss how we would respond to the question, "How do I start over?" In other words, what do you do when you've been yo yo dieting, losing and gaining, and you're just frustrated with the whole weight loss process. During this episode we continue our discussion on moving from a weight loss amateur towards becoming a weight loss pro. In Episode 70, we discussed the qualities of a professional versus an amateur; in this episode, we're focusing on the steps to becoming a professional. They are: Admit That You're An Addict Allow Yourself To Hit Bottom Ignore The Opinions Of Others Have Empathy For Yourself Work The Program! Have Your Epiphany Embrace Ambition Cut Out Distractions Become A Creature Of Healthy Habits Play For Tomorrow! In this episode of Cut The Fat Podcast, we're going to discuss a philosophy that is critical to your success with burning fat and achieving a lean body this year! Based on the concepts taught by Steven Pressfield in his amazing books, The War of Art and Turning Pro, we're going to show you how to go from amateur thinking to thinking like a pro around health, fitness, and body change. During this podcast episode, Blythe and Ray discuss the true purpose of motivation and how to apply it in real life so that you get the most benefit from the fleeting sensation of motivation. As you'll learn in this episode on weight loss motivation, you can't just focus on what motivates you, you must also focus on what demotivates you so that you don't short-circuit those moments when you feel the motivated to work towards the new, healthy, leaner you! In this episode Dr. Ray gets interviewed by Jonathan Bailor on his excellent podcast, The Smarter Science of Slim. The discussion for this episode is centered around the mindset needed for long-term fat loss success. In today's episode Blythe and I do a little "Fat Loss Free-styling" where we "chew the fat", so to speak, about fat loss. We discuss a number of things that we hear "fat loss expert" say that we feel is not entirely accurate or is actually downright wrong. So, today's episode is about doing a little myth-busting where we discuss things like: Should you detox to lose weight? Is sugar the cause of obesity, rather than carbs in general? Do you need to eliminate all carbs? Should you totally overhaul your lifestyle? Episode 66: It’s NOT All About Carbs! In this episode, we're going to hit the reset button and go back to the fundamentals... Why eating fruits and vegetables is so important and why the research supports the addition of foods that are low on the "energy density" scale. We often get caught up in the need for new and "advanced" weight loss tactics when "simple" and "easy" are far more effective. The topic of meal frequency has not been a topic of much controversy because most experts just assumed that eating 4-6 small meals per day was superior to 3 meals or less per day. Assumptions are a dangerous thing... What does the science say about meal frequency? You'll be interested to know that there isn't much research at all and the majority of the research is not too compelling. In the end, the answer may surprise you. In this podcast episode, we discuss the research and, more importantly, what it means for you. You'll discover that although most experts suggest 4-6 meals is superior to 3 meals for weight loss, that it actually may not be. You'll learn that the body doesn't go into starvation mode after just 3 hours, in fact, it takes approximately 72 hours to trigger the dreaded starvation mode. You'll learn how to apply this information into your own life! Should you use meal replacements when trying to lose weight or are they just a crutch? If so, how do you get the most out of them? In today's podcast episode, we cover the topic of the role of meal replacement shakes, how they differ from meal adjuvant shakes, and how to supercharge it all by making some minor changes to your meal replacement shakes. Convenience is a key ingredient of long-term fat loss, and meal replacement shakes are a simple way to make life just a bit easier. We have to be honest with ourselves, sometimes we aren't going to take an hour to cook up a breakfast or go to the store to pick up a snack. Shakes allow us to mix or blend up a simple snack or meal in 5 minutes or less. If, however, you make some common mistakes in building your meal replacement, you could actually inhibit fat burning, rather than improve it. Your lifestyle is the single most important factor in metabolism and weight loss is dependent on a rocking metabolism! In today's podcast, Jonathan Bailor, from The Smarter Science of Slim, joins Dr. Ray Hinish to discuss the metabolism for weight loss. Using a clogged sink as a model for the fat-storing metabolism, Jonathan teaches you why your body can't release fat when hormones are out of balance and then he get's into practical suggestions for applying the science of fat loss in your life. Dr. Ray and Jonathan cover everything from fat intake and heart disease, controversies surrounding fiber and whole grains, as well as how many carbs is too many carbs. What role does exercise really play in your fat loss program? Although Blythe and I have covered this topic in numerous episodes, today we join Dr. Jade Teta of The Metabolic Effect and Jonathan Bailor of The Smarter Science of Slim to dig deeper into the the topic of exercise to work through some of the controversy. Exercise and weight loss is not as cut and dry as many "authorities" would have you believe. As you'll learn, if you exercise to burn calories, you may be missing the greatest benefits of exercise! In this episode of Cut The Fat Podcast, we discuss why affirmations don't work and a new technique for motivating yourself using the back door of your mind. Weight loss motivation is tough, we need to use every tool at our disposal to keep ourselves heading in the right direction and in this episode we give you a few more tools to add to the toolbox! In the podcast,A How to Suppress Appetite, we give you six tips for bullet-proofing your life against the number one killer of weight loss programs...hunger.Many people fail to maintain their fat loss program simply because their efforts are overwhelmed by hunger and they have no idea how to suppress appetite! Before we focus on activity or cravings, we need to make sure that you know how to suppress appetite when you feel those nasty pangs.How to Suppress Appetite - 6 Steps to Managing Hunger PangsStep 1: Stick to a Schedule - By developing an eating schedule you can train the body when to be hungry.Step 2: Get Non-Starchy Fiber With EVERY Meal - We are designed to get our fiber from non-starchy sources such as fruits and vegetables, not grains. Step 3: Eat Plenty of Hunger-Eradicating Protein - Protein is the most important macronutrient to suppress your appetite. If you want to know how to suppress appetite, then consuming protein with each meal is one of the most important steps.Step 4: Choose Low-Glycemic, Non-Grain Carbohydrates - Eat carbohydrates, but choose non-grain, low-glycemic sources.Step 5: Prioritize High-Volume Foods - High volume foods are foods that provide plenty of food but are naturally low in calories. Spinach is a great example, containing just 7 calories per cup, compared to flour, which contains almost 500 calories per cup.Step 6: Use Protein Shakes to Fill the Gaps - Protein shakes are a convenient and fast way to provide nutrition to the body and curb your appetite.Once you understand how to suppress appetite by following the 6 steps provided in this podcast, you should know how to curb your appetite without the need for dangerous appetite suppressants. For more information on how to suppress appetite, be sure to listen to the podcast and take notes! If you haven't yet subscribed to our free podcast, please do, and don't forget to leave a review! In this podcast we will discuss the different types of interval training that you can implement to incinerate the fat. Included in this discussion are Tabatas, Fartlek training, Cribb intervals, and much much more! In order to successfully lose weight for good, we must be able to send signals to the body that food and nutrition is plentiful, while simultaneously convincing it that metabolism and energy is needed in order to gather and catch that food. If we succeed in this goal then we should be able to achieve lasting weight loss while simultaneously protecting our vital muscle mass. In today's weight loss podcast, we cover the topic of keeping the body out of starvation mode because when the body enters into such a state, weight loss becomes virtually impossible! In today's podcast Blythe is back with us as she answers 5 of the most common questions that she receives from her clients surrounding weight loss. Today's podcast discusses everything from weight loss resistance to supplements. The high-protein, low-carb diet is perhaps one of the most well known and recognizable diets in the world. Practically every experienced dieter has been on a high-protein, low-carb diet at some point in their life and many different diet programs are simply variations on this philosophy of eating. The High-Protein, Low-Carb Diet Gets a Name Although the high-protein, low-carb diet has been around for decades, Dr. Atkins, author of The Atkins Diet series of books, was the one to make this style of eating mainstream. In fact, most people who are following this philosophy of eating will often call their high-protein, low-carb diet an "Atkins Diet". In this podcast, we will use the Atkins diet as an ambassador for the high-protein, low-carb diet philosophy as we go through the phases of his program and discuss the good, the bad, and the ugly associated with this program. The Reason Why the High-Protein, Low-Carb Diet Works Insulin is a hormone produced by our pancreas that causes our body to store calories as fat. As long as insulin is elevated, fat loss is difficult, if not impossible. Although both proteins and carbohydrates can cause your insulin levels to elevate, carbohydrates cause the largest elevations in this fat storing hormone. The purpose of high-protein, low-carb diets is to control insulin production in such a way that promotes fat loss while inhibiting appetite. For a simple rule on how to determine what foods are considered a carbohydrate, see our article Carbohydrates - A Quick Guide. In this podcast, we will give a detailed critique of the high-protein, low-carb diet in order to help you dig out the golden-nuggets that you can apply to your life. Helping people with weight loss is about finding their barriers to weight loss and helping them to devise a plan around those barriers. In today's podcast we accidentally cover this topic after we began discussing a question that Dr. Ray posted on Facebook. The question was... "There are 2 people who are barriers to your healthy lifestyle...The first person is "You"...who is the 2nd person and why? (You must answer, you can not say that "I am the only person responsible"...is it your spouse, your kids, your boss, "the man", your lazy dog, your school, society as a whole? You must answer..." The purpose of this question was not to turn us into people who blame others for our problems but to help us uncover our secret barriers to weight loss. As we force ourselves to answer this question, the real barriers to weight loss begin to materialize before our eyes. Once we recognize them, we can begin the work of accepting their existence and then devise systems and plans for eradicating or working around them. Don't Ignore Barriers to Weight Loss We live in a society that wants us to pretend that life is not difficult and that barriers do not exist if we think positive thoughts. Sometimes we have to accept the fact that life is sometimes complicated by barriers and obstacles. Devise Systems to Circumvent Barriers to Weight Loss Once we acknowledge our obstacles, the next step is to conspire against them by building systems within our lives to go around or over the walls. All too often barriers to weight loss lead to weight loss resistance, we look forward to bringing more tips and trick in future podcasts! Exercise is an essential part of any weight loss program and to maintain an exercise program you must be able to manufacture workout motivation on command! In fact, I would feel confident in saying that no weight loss attempt will enjoy long-term success if exercise is not a major part of the program. So why do 50% of the people who start an exercise program give up within 6 months of starting and how do we maintain our workout motivation? In today's podcast, we will tackle the issue of how to motivate yourself to exercise, and equally important, how to find the workout motivation to virtually guarantee that you will never quit your exercise program... Why do we lose our workout motivation? In this audio podcast we tackle the 10 challenges to workout motivation thatA causes us to give up and turn to the couch for comfort! No more! Learn How to Vaccinate Yourself Against Workout Motivation Once you learn these workout motivation poisons, you can guard against them by implementing some of the tactics and techniques that we recommend in the podcast. Our goal is to bring your attention to the things that demotivate you and result in abandonment of their exercise program and then give you the tools you need to stay the course for life. After listening to this podcast you will have a 10-point checklist for lifelong exercise success! If you would like more tips on workout motivation and weight loss motivation in general, then check out Episode 5: Weight Loss Motivation - Achieving Your Fat Loss Goals. In this podcast Blythe and I join forces once again to bring you three fast and easy weight loss tips. As you go through the three simple tips, just look to implement one of them into your life! Enjoy, and be sure to check us out on facebook at http://www.facebook.com/#!/pages/CutTheFatPodcast! Episode 34: Should You Eat or Fast Before Exercise? Episode 33: Three Secrets to Having the Best Year EVER! Episode 31: Can You Turn Your Fat-Genes Off? Is Obesity Caused by Genetics? In this episode we continue our discussion on the 12 Principles of Fat Loss. As we continue to discuss these weight loss principles you should be thinking, "how can I implement these principles into my life." We believe that we learn more from our failures than we do from our victories. Tony Robbin always says, when we succeed, we party; when we fail, we ponder. 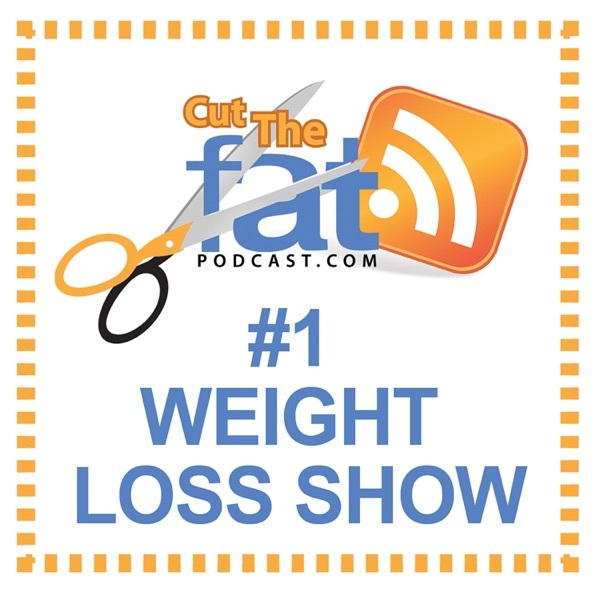 In this podcast, we will be discussing an email post by Tom Venuto, titled "The 8 Reasons We Fail Our Weight L0ss Programs". Remember, weight loss is never constant; there are days when you will lose, days when you will gain and days when you will remain the same weight. Stay the course, assess your results and tweak when necessary! One of my favorite books on the subject of paleolithic living is the book, The Primal Blueprint, by Mark Sisson. We had the opportunity to interview Mark on my weekly radio program here in Baltimore; I found the discussion both educational and entertaining and I am thrilled to bring these principles to our Cut the Fat Podcast Listeners! We are really proud of episode 23, as it teaches you a principle that can be immediately used to achieve amazing results with weight loss. In fact, this one principle can be applied to any goal that you have to speed the accomplishment of that goal, no matter what it may be! We hope that you gin as much from listening to this episode that we gained from producing it! In today's podcast we will answer some of the questions that were left for us on our Facebook Page. 1. Why doesn't the scale move even though I am losing inches? 2. Can I eat a big chicken dinner everyday and still lose weight? 3. What are the two reasons why you are not losing weight? Today's episode has tons of weight loss tips. Enjoy! Practically every "weight loss authority" out there recommends aerobic exercise as a foundation to any weight loss program. After all, it does make sense, burn more calories than you consume and you will lose fat. I have a question, "How is that working out for us?" You may have heard that the definition of insanity is "doing the same thing over and over again and expecting a different result." Well, isn't that what we are doing when we run the treadmill every day only to see the scale remain stagnant and the pants equally tight around the waist? But we keep trucking along, don't we? We keep running the treadmill and stepping on the scale. Listen up Fat Cutters... "It isn't working!!!" In this podcast, we will put aerobic exercise on trial and try to convince your brain that it is okay to give up the aerobic exercise as a backbone to your weight loss program. Once you have your "Ah ha!" moment, you will then make room for more effective exercise techniques. You can do better than steady-state aerobic exercise for fat loss; so listen up and we hope that you will find aerobic exercise guilty of fraud! We have been receiving many questions around using fasting as a tool for fat loss ever since we mentioned it in the episode, "17 Reasons Why You Are Not losing Weight". In this podcast, we discuss using fasting as a tactic for improving fat loss or just busting through weight loss plateaus. We believe that you will be seeing more and more information in the press about fasting for weight loss because of a number of studies that have been published regarding this topic. In this discussion, we will provide you with fact and opinion on this subject and hopefully give you the information that you need to decide if fasting will become a tool in your tool box! Getting started with weight loss is not a problem for most people. The real issue for many people who are looking to cut the fat and lose the weight is something derails their efforts causing them to lose momentum. In today's podcast, we will cover the 7 Weight Loss Obstacles that can ultimately derail your weight loss efforts and lead to the dreaded weight gain. To be successful, you must first be able to identify which things are standing in your way and then formulate a plan to deal with those obstacles before they strike. If you succeed, you are virtually failure-proofing your weight loss program! Recently I read a blog post on Marksdailyapple.com (http://www.marksdailyapple.com/17-reasons-youre-not-losing-weight/) which discussed 17 reasons why people are not losing weight and I felt it would be a great topic for us to discuss on our podcast. In this podcast, Blythe and I go through each of the 17 points and give you our own spin on Mark Sisson's 17 Reasons why people's weight loss efforts go stagnant. Although this is a long episode, I think it is full of tons of great tips for making progress with your fat cutting efforts! P.S. We send apologize in advance for the length of this podcast episode, we will try to keep them to 20-30 minutes in the future! In this episode, we start off by discussing what is considered the bread and butter of weight loss, The Law of Thermodynamics. This law states that if you eat more calories than you burn then you will gain weight; if you eat fewer calories than you burn then you will lose weight. in other words, this law states that calories are everything! We start off by debunking this "law" because it is the foundation of which most diets are built upon. You will hear many people say, "it's all about calories!" Now, you will be able to argue the contrary. In the second part of this episode, we discuss metabolism and some ways to boost it to promote weight loss. Tis the season for holiday parties! We thought that this would be a timely podcast for a discussion on how to party without losing your weight loss momentum. People don't put on pounds from endulging in one party, the real risk is losing your weight loss momentum. How many times have you woken up the next morning after a big holiday or birthday party and felt like such a failure? It happens to the best of us; our vision for this podcast is to allow you to thoroughly enjoy your holiday parties without sabotaging your results or feeling like a failure. In today's podcast we will teach you a strategy to walk away from parties feeling good about yourself, your weight loss and our health! One of the most common questions that we get is "how do I increase metabolism?" In this podcast we will teach you everything that you need to know to increase your metabolism in such a way that will promote long term weight loss success. We will discuss: * Why your metabolism decreases. * How to speed up metabolism for long-term weight loss. * Why metabolism is not your primary concern with weight loss. * Why aerobic activity is not the best approach to increase metabolism. * A special secret to long term weight loss. * What set point theory is so important to your weight loss effort. We are really excited about this episode "How to Increase Metabolism" as we share with you the secrets to mastering your metabolism to promote long term weight loss! It doesn't matter what you know; It only matters what you do! In this podcast we will cover how to stay motivated to achieve your weight loss goals. Weight loss motivation is about understanding the psychology of why we do the things that we do. We will explain why we eat the cake when we know how bad it is for us.We will discuss some very easy to implement weight loss motivation tools that you can use right now! So, put on the running shoes, get your earbuds, put the podcast on and get moving towards your weight loss goals! Please leave your comments about Weight Loss Motivation by clicking "Comments" above! We would love to hear what weight loss motivation techniques you have used successfully. In this podcast we will tackle the question of how to prepare your diet, life and social environment for weight loss success. This podcast answers many of the questions that you may have regarding: * Food preparation * Food storage * Saving money while eating healthier (healthy eating does not have to cost more money) * What your family and friends have to do with your success * Is being overweight catchable? * Tips and tricks for fast snacks and meals Dr. Ray and Blythe provide you with the knowledge that you need to be successful with any weight loss program. You simply cannot succeed if you refuse to take steps to prepare for success! In this podcast you will learn those steps! In this episode we continue the discussion on how carbohydrates impact your weight loss efforts. We start with a discussion about insulin; what its primary role is in the body and how to use that knowledge to improve your weight loss. Low-carbohydrate eating is not an easy task, we will talk about our experience as well as what the research has to say on the subject of low-carb diets. This podcast is full of useful tips and tricks that we feel are new to many of our listeners. Once you have an understanding of how insulin works in the body and how to control it, you will be much better prepared to lose the weight! Are carbohydrates the enemy of weight loss? Is the Atkins program an effective way to lose weight? How much protein should we eat and how much is too much? In part 1 of "Carbohydrates & Proteins - What You Need to Know" we will tackle these questions and many others related to the "low-carb controversy". Every weight loss expert out there seems to have a different opinion around the topic of carbohydrates and weight loss. In this episode we will attempt to dissect the controversy surrounding carbohydrates and get to what works.